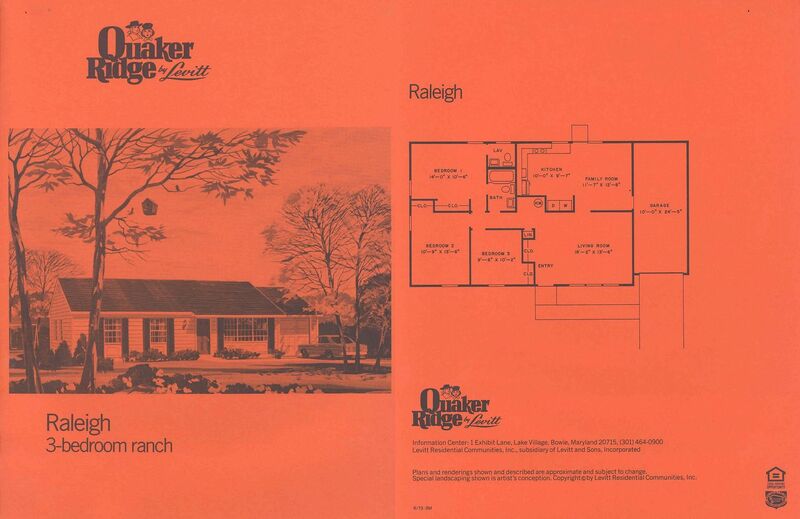 Quaker Ridge is a planned residential subdivision located in Largo, Md. 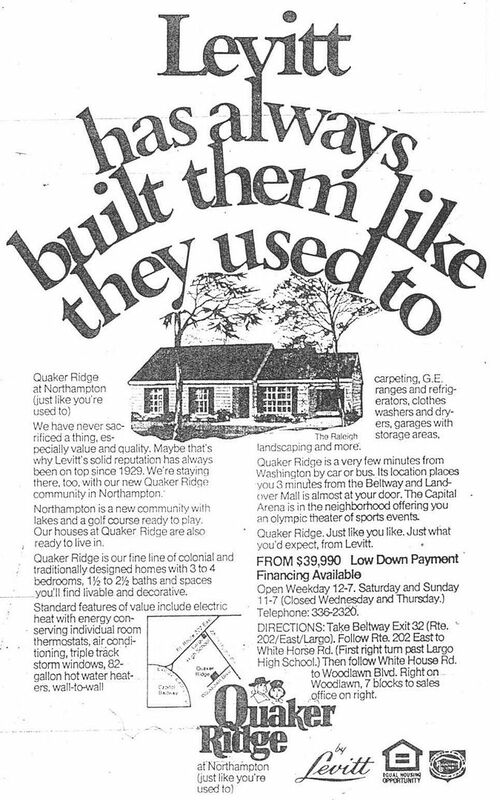 The location of Quaker Ridge was advertised as Northampton, "a new community with lakes and a golf course ready to play." 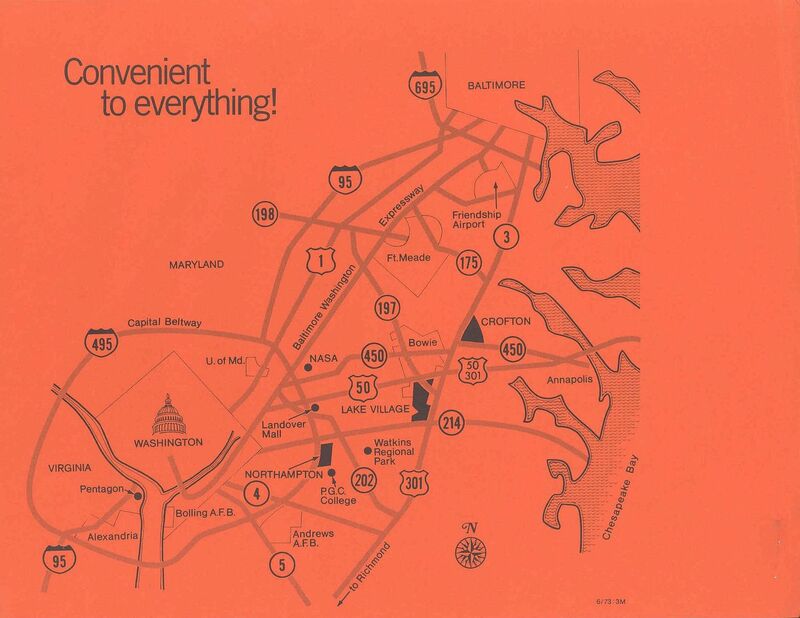 Northampton was indeed the start of a new master-planned community that was following the New Town concept of the time. The Northampton name was taken from the name of the tobacco plantation that operated for three centuries on the site of the new community. The remains of the plantation include the ruins of the manor house and two slave quarters. Ineterestingly, Quakers were pivotal in Maryland's anti-slavery movement. 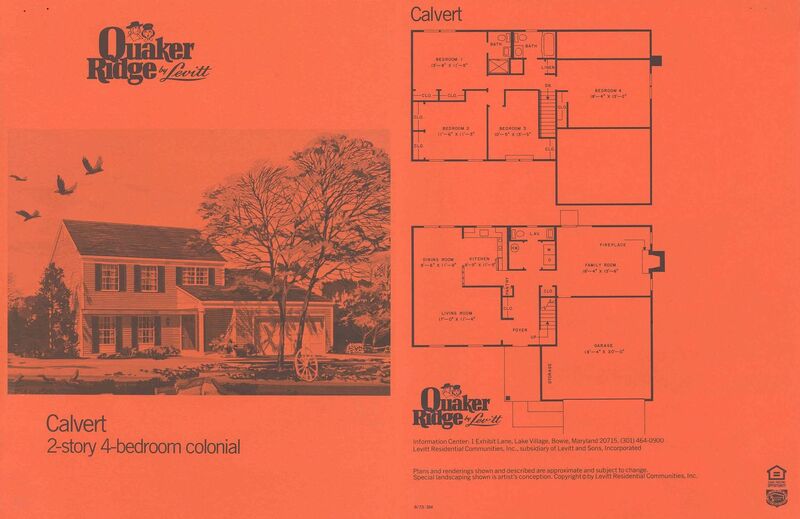 Since the names of residential communities are often significant to area history, this fact establishes somewhat of a connection between the name of modern-day Quaker Ridge and the area's past. Today, there are few references to Northampton as a geographic entity. Two apartment complexes bear the name Northampton, as does a neighborhood park. 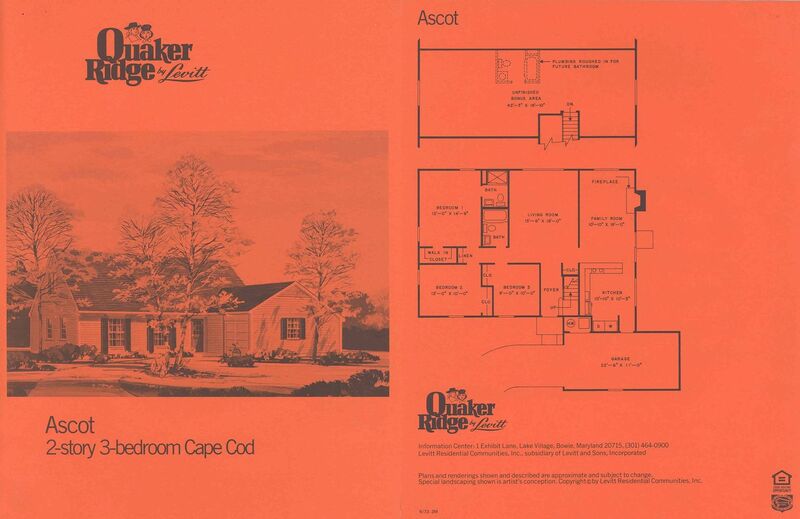 The entire community planned as Northampton was not fully realized, likely the victim of the soft housing market of the 1970s. As a result, Northampton as a named, recognizeable entity was never fully established. In recent years, new development has come to the area now known as Largo and a community has taken shape: in December 2004, the Blue Line of the Washington Metro was extended to a new station at Largo Town Center, linking the mixed-use center at the north end of Harry S Truman Drive with the District. The new station is the first in Prince George's County to be located outside the Capital Beltway. L A R G O , M D.
Location: Largo-Upper Marlboro in Prince Georges County, Md. Community is situated between the Woodlawn Manor subidvision and the Capital Beltway. Opened for sales in 1973. Sample homes were located at the Lake Village Exhibit Center on Exhibit Lane in Bowie. The sales office was later located to Woodlawn Boulevard adjacent to Levitt and Sons' Arcadia at Northampton and Woodlawn Manor communities. 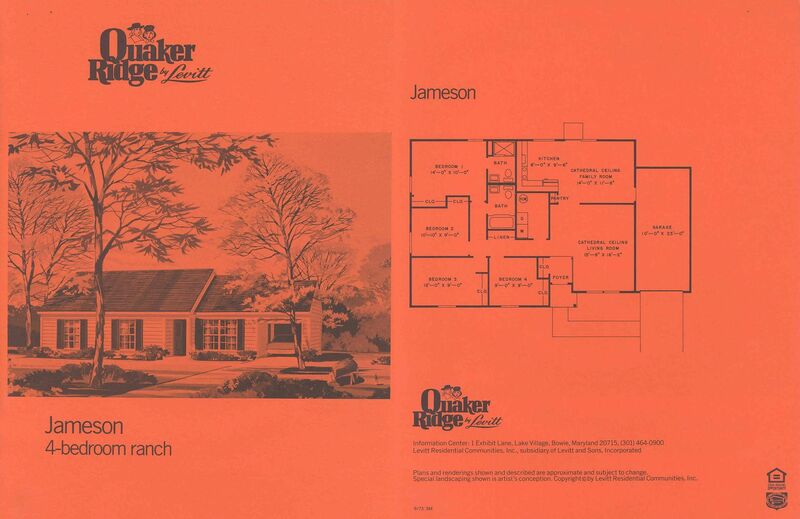 View the Community Profile for Quaker Ridge at Northampton, the first page of the brochure. 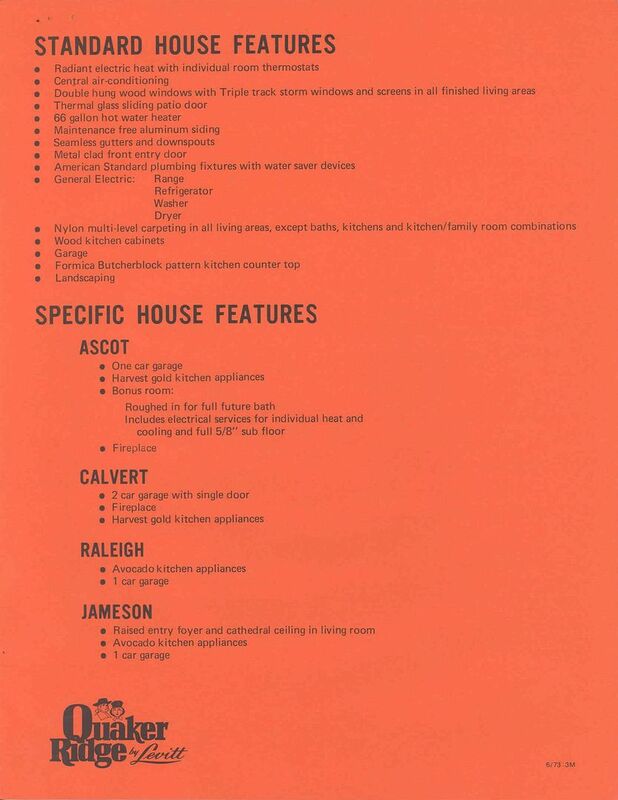 View the list of list of Standard Features for your new home and specific features in each individual model here at Quaker Ridge. View the Location Map for the Washington Metro Area, showing all three Levitt communiites--Lake Village, Crofton, and the location of your new home, Northampton. 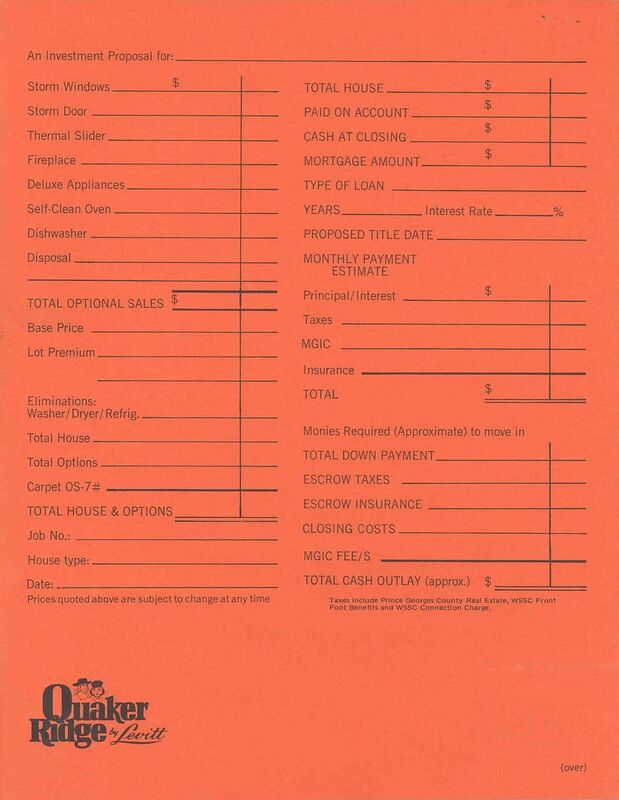 View the Investment Proposal Worksheet used to determine the total price and monthly payments for your new home at Quaker Ridge, including options, lot premiums, taxes, insurance, and cash required for closing. Tour all four sample homes and select the style of your new home in Quaker Ridge. 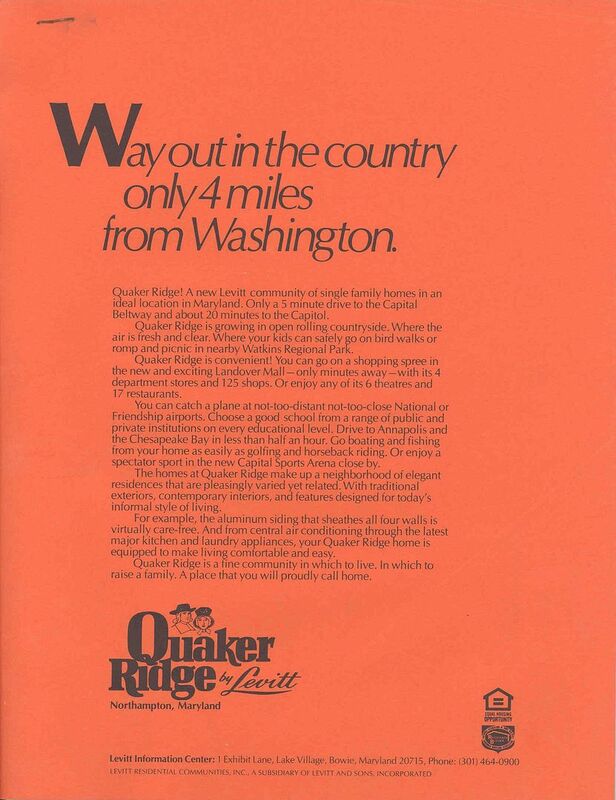 View original newspaper sales advertisements for Quaker Ridge. Page last revised 8 July 2008.